Dr. Steven Huprich is a Licensed Clinical Psychologist with nearly 20 years of professional experience. He holds a Ph.D. from the University of North Carolina at Greensboro and completed his pre-doctoral clinical internship at SUNY Upstate Medical University in Syracuse, NY. 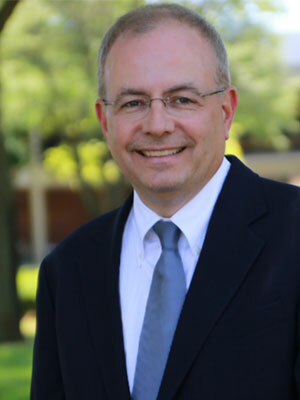 Dr. Huprich is currently a Professor of Psychology at the University of Detroit Mercy and has spent his entire career training and supervising future psychologists. Before working at Arbor Psychology Group, Dr. Huprich was the Director of Clinical Training at Wichita State University. Prior to that appointment, Dr. Huprich was a faculty member with the doctoral training programs at Eastern Michigan and Baylor Universities. Dr. Huprich also is the past Editor of the Journal of Personality Assessment and is President the International Society for the Study of Personality Disorders. An accomplished scholar and researcher, Dr. Huprich has published over 100 peer-reviewed publications and authored or edited six professional texts. His most recent book, Personality Disorders: Toward Theoretical and Empirical Integration in Assessment and Diagnosis, was published in 2014 by the American Psychological Association. Dr. Huprich has maintained a clinical practice throughout the entirety of his career and has been licensed in Michigan, Texas, and Kansas. He works mainly with adults in conducting psychoanalytic and psychodynamic psychotherapy. He also conducts psychodiagnostic evaluations for challenging diagnostic cases or for individuals who seek to understand themselves at a deeper level than they already do. For more information about Dr. Huprich please visit Psychology Today.